Interviews with the film-makers Rob Epstein and Jeffrey Friedman about the film can be found here, here and here. We noted in passing and with sadness, this past December, the death of the great poet/bard Janine Pommy Vega and drew your attention to the Woodstock Times obit and to Anne Waldman’s memoir (and here’s a couple of other obituaries (Ken Hunt, writing in The Independent, and an unsigned one from (London’s) Daily Telegraph). This past Sunday friends gathered at the Colony Cafe in Woodstock to salute and pay respects to her, and this coming Sunday (the 27th), it will happen again, this time in New York. The Bowery Poetry Club and The St Mark’s Poetry Project are co-sponsoring “A Praise-Day for Janine Pommy Vega”. 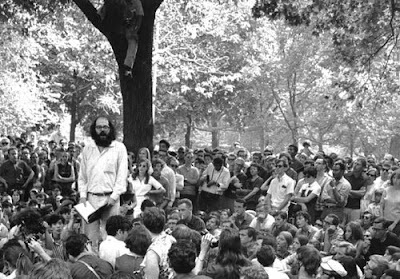 The reading/tribute (featuring Andy Clausen, Bob Holman, John Giorno, Anne Waldman, Hettie Jones and others) will take place at the Bowery Poetry Club, starting at 1 o’clock. As with last weekend, the event will also include a video presentation – a screening of Kurt Hemmer’s “As We Cover The Streets” featuring mesmerizing performance footage of Janine. 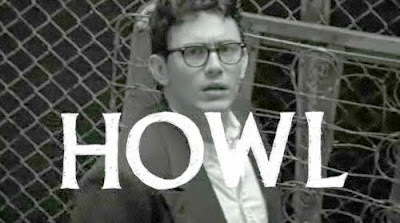 In advance of next week’s UK opening at London’s Curzon cinema on Shaftesbury Avenue, James Campbell has a review in The Guardian – “Howl At The Movies – Is the new film about Allen Ginsberg and the Howl obscenity trial a little too sane?” (Well, we, of course, would say no!). His “elegy for the tragic history of poetry on film”, usefully places the Howl movie in a much wider filmic context. Matthew Sweet will be discussing the film on BBC Radio 3’s Night Waves this upcoming Tuesday night. Tune in if you can. Meanwhile the reviews continue to roll in (and of the DVD too…. not that we’re suggesting the Boulder Weekly’s “Babes, booze and Buddhism” is much of an improvement! Adam Perry reviews Johanna Demetrakas’ Chogyam Trungpa Rinpoche documentary (noted here last week) under that lead. I know we said we’d stop tooting our horn and posting reviews and response to the Howl movie, but here’s just a few more, not-just-any-reviews, ones that really nail something intelligent down. First up, a thoughtful one from Peter Simek in Dallas’ D magazine. 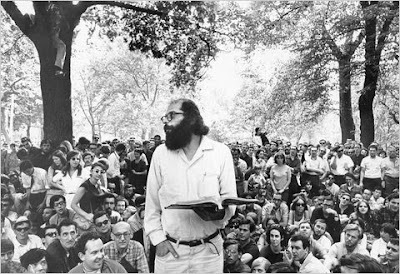 Richard Nilson’s review in The Arizona Republic points out “the hero of the film isn’t Ginsberg, it’s the poem”. 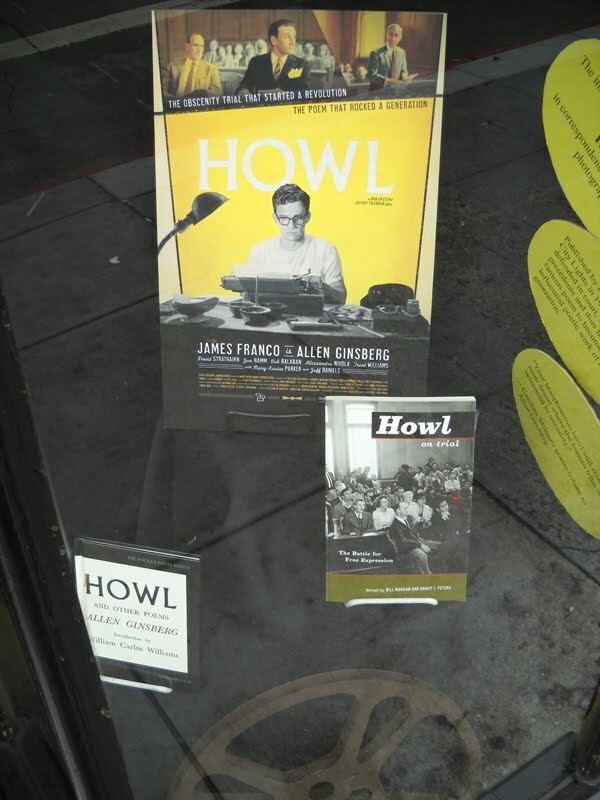 Wallace Baine’s review in the Santa Cruz Sentinel re-iterates the idea that – and what a remarkable thing this is – “Howl is all about the poem not the poet.” And one more, since Allen was a dutiful reader of the rag, here’s Sarah Selzer in The Nation. >Great hour-long interview with Rob & Jeff from NPR’s On Point with Tom Ashbrook.